​Simple to use and efficient dual speed and high speed single disc machines. 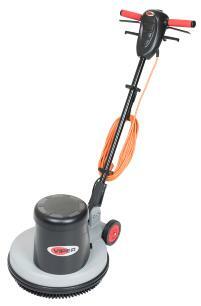 The perfect solution for hard floor scrubbing and for heavy-duty cleaning. With these single disc DS350 and HS350 you will meet the demanding needs of cleaning in medium to rough areas in hotels, restaurants, schools, shopping malls and other retail outlet.